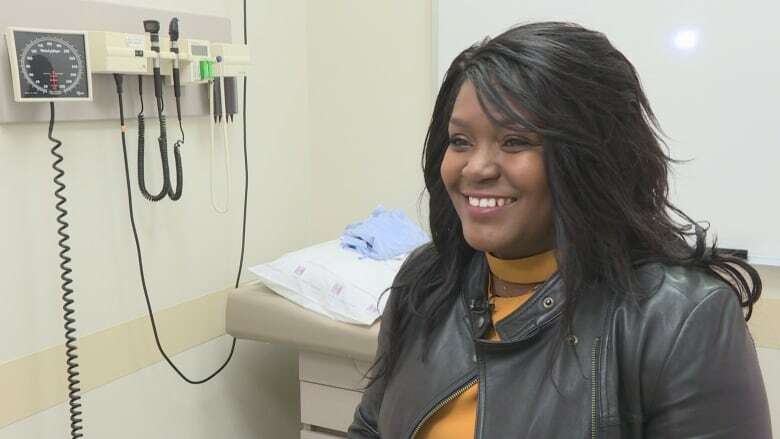 An Alberta woman is among the first adults in Canada to be cured of sickle cell anemia with the help of a sister's love — and a stem cell transplant. Agyepong's disease manifested as chronic bone and joint pain, irregular heartbeat, kidney stones and shortness of breath. Two years ago, the Alberta Children's Hospital announced it was successfully treating sickle cell disease in pediatric patients using stem cell transplants. But Stephanie Amoah, Agyepong's older sister, said she could no longer watch her sister struggle in constant pain and started to research which other centres were testing the treatment on adult patients. "My sister has always been my protector, my guardian, she found a way," Agyepong said. The sisters approached Agyepong's doctors and told them of the treatment going on in the east coast of the United States. Dr. Andrew Daly, who leads Alberta's bone marrow transplant program and oversaw Agyepong's stem cell transplant, said they had coincidentally been thinking about conducting adult stem cell transplants for sickle cell disease. "My persistence, my sister's persistence, and they said my dedication to wanting a cure, was enough for them to just say, you know what, she's going to be the person, let's do this," Agyepong said. The transplant, which took place at Calgary's Tom Baker Cancer Centre, involved Agyepong taking drugs to suppress her immune system and doing a course of low-dose radiation. Amoah underwent a process called apheresis that collected her sickle-cell-free stem cells, which were then given to Agyepong. "Over the past few months, what we've seen is that Revée's sister's bone marrow has taken over the production of Revée's red blood cells," Daly said. "The amount of sickle cell hemoglobin in her bloodstream has decreased almost to zero." Today, Agyepong's blood tests don't show any signs of the disease, which makes her essentially cured. Amoah said the change she sees in her sister is amazing. "It's phenomenal. I'm just so happy to have been part of a process that will give her a new life, a new hope and be able to do the things she's always wanted to do," Amoah said. 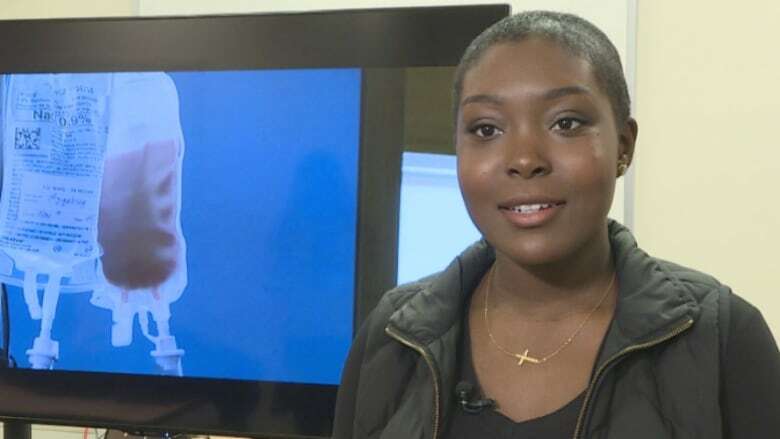 An earlier version of this story said Revée Agyepong was the first adult in Canada to be cured of sickle cell anemia after treatment involving a stem cell transplant. In fact, while Agyepong was among the first, there was at least one other successful treatment previously in Ontario.